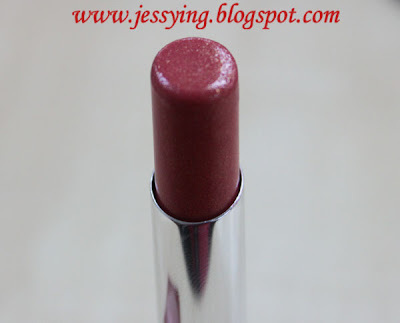 According to the description, this lipstick nourishes like a lip balm but shines like a gloss! Gives 6 hours of hydration, 2 hours of shine and 3 hours of wear without need of touch-ups. I love the packaging , very transparent red casing with the word L'oreal on the iron plate at the side. This lipstick works like lip balm because it is made from royal jelly (which has healing function) and shea butter ( rich in Vit A, E , and F - works to repair chapped lips and smooth them. And it also works as a lip gloss because it has fine polymers in its formula. My review : With 1 swipe on my palm, the lipstick looked very clear, smooth with lots of tiny shimmering powder. The lipstick don't feel sticky/greasy upon application. 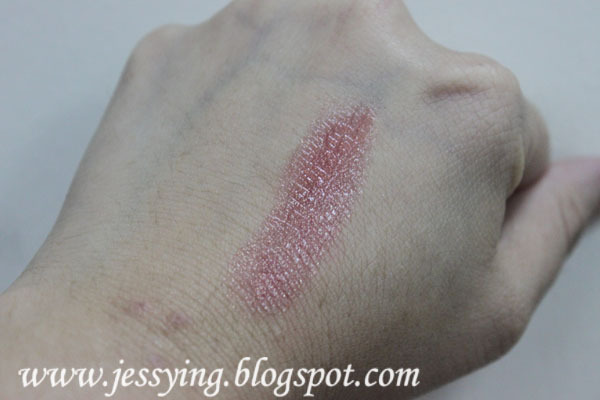 The color is sheer and need re-apply after drinking/food. And I am happy my lip is quite moist after using the lisptick. 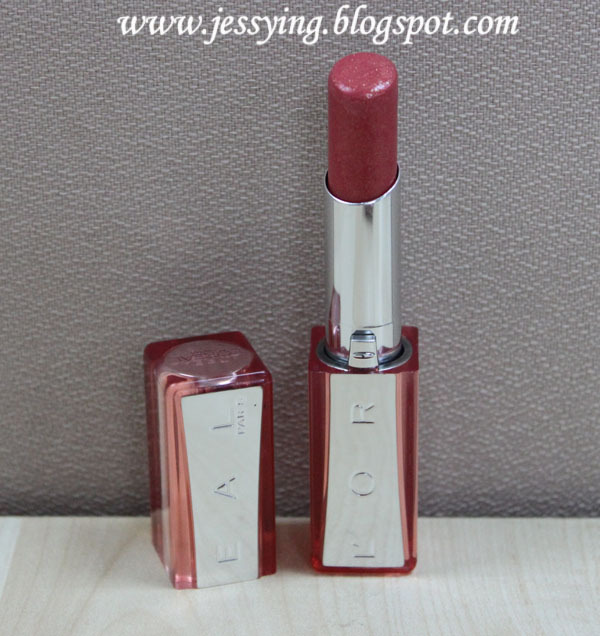 I like the color of the lipstick here, very pretty peach indeed.... suit my lips perfectly. More important my buddy guy friend who I went movie too said this " Wah Jess today your lips so bling bling, so kissable! " Hahaha... Yes I do love the shimmering lip gloss effect that the lipstick gives and yet moist like lip balm! 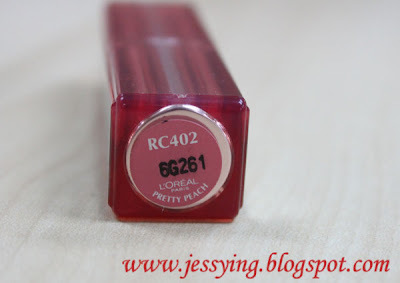 And must say now its one of my favorite and I'm keeping in my handbag! And it saves a little space in my handbag as supposed that now I just bring this instead of lipstick and lip gloss. Pros : Lipstick is moist, shimmering and smooth. Disclosure : The above product was provided for review purposes in this blog. This L’Oreal Colour Riche Lip gloss was on sale at my local Walgreen’s awhile ago for $3.00 and although I’ve never tried the Colour Riche Lip Gloss Line before, I really liked the shade and was worth taking a chance on. I really love the packaging to this lip gloss, it’s really simple but the color shows through ant it’s really pretty, especially the soft brown shade with the shimmer. I really love the gold top to the lip gloss, the brush is way easy to use and it applies the lip gloss to my lips very easily.